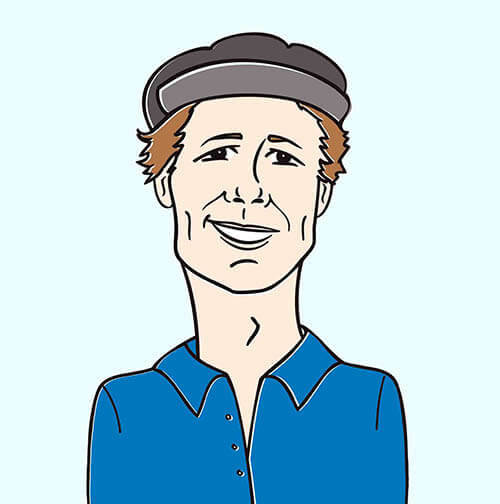 Hello cherished programming friends, it’s Andy Gesner and the HIP Video Promo staff, here with the brand new clip by a young artist rapidly becoming recognized as one of the world’s finest pop songwriters. Brooke Fraser was only twenty years old when What To Do With Daylight made her a star in her native New Zealand. Five singles were released from Daylight; all five made the NZ top twenty. The songs on the album were thoughtful, emotionally evocative, lyrically intriguing and spiritually advanced. It didn’t seem possible that they could have been written by such a young woman, but there they were, and they were beautiful. 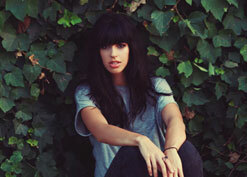 Brooke Fraser is a musical force of nature. Fraser’s second album is a work of tremendous power and staggering intensity, written after the singer came face to face with the consequences of genocide. Before making the record, the socially-conscious Fraser took a trip to Rwanda sponsored by one of the several charity organizations she’s worked with — a trip that moved her deeply, and changed her perspective. Albertine is named after a girl Fraser met there; orphaned by the war, the title track tells her story. “Now that I have seen,” sang the pop star, “I am responsible.” Nobody who has heard Fraser sing “Albertine” could doubt her sincerity, or her seriousness. But there’s another side to Brooke Fraser, too. She’s always been joyous, but as anybody who has seen her in concert can tell you, she can also be extremely playful. “Something In The Water,” the lead single from Flags, her third set, is something unexpected from the sophisticated songwriter: a giddy, wide-eyed, wholly-delighted love song, immediately infectious and instantly identifiable to anybody who has ever been head over heels. Fraser wrote much of Flags while traveling in America, and it shows. There’s plenty of kiwi soul in “Something In The Water,” but it’s also indebted to Appalachian country music, too. “Water” made its debut in the New Zealand Top Ten, of course. But it also seems perfectly tailored to win Fraser a much bigger audience in the United States. She’ll be touring from coast to coast this autumn (she’s making a stop in London, too), elevating audiences wherever she goes. The partially animated clip for “Something In The Water” is full of levity, too. Fraser smiles straight through it; she’s waiting for something, and she looks like she’s got a secret she’s burning to tell. She sits with a copy of The Odyssey open in her lap (her last video, for “C.S. Lewis Song” from Albertine, closed with a shot of Fraser reading The Great Divorce on a tour bus; the woman loves the classics), hands folded, rocking in her seat. Fraser is shot in chairs in a variety of old-fashioned living rooms: one has an Old West mural on the wall, another a faded portrait of a snow-covered mountain, another an orange plastic-upholstered sofa, another a series of high school athletic pendants dangling from the ceiling. Her dress, too changes from shot to shot, but never seems exactly modern — in some of the footage, she wears a wreath of flowers, just as Penelope might have while waiting for her hero’s return. But Fraser is no statue. For her last act, she sticks her tongue out at the camera, just like a little kid might. We’re excited to be working with the Brooke Fraser team once again, following up on the great success of the “Shadowfeet” video. Brooke will be touring the US in Novmeber and December and we’d love to hook you up with the opportunity to catch her live or for a video interview, so drop us a line! We’re positioned to hook you up with copies of Flags, so please don’t hesitate to be in touch if you’d like some copies. We also encourage you to check out www.BrookeFraser.com to check out the new weekly webisodes being posted for a more in-depth look at Brooke! If you need more info, call Andy Gesner at (732)-613-1779 or e-mail us at HIPVideo@aol.com. You can also visit www.MySpace.com/BrookeFraser.